This extract, made from dried green tea leaves, boasts caffeine and antioxidant-rich plant compounds. So are energy drinks containing green tea extract a better way to fight fatigue? Is the ‘ECGC’ in your energy drink really helping you? Read the label on any energy drink or shot, and you’ll likely find some combination of caffeine, green tea extract, high-dose vitamins and herbs. Is green tea extract — promoted as a natural energy booster in your drink — a good way to fight fatigue? “The short answer is no. There are better ways to boost your energy,” says integrative medicine specialist Irina Todorov, MD. Made from dried green tea leaves, green tea extract contains caffeine as well as plant compounds called catechins, including epigallocatechins-3-gallate (EGCG). While catechins have strong antioxidant potential, you don’t know how many milligrams you’re consuming because food and drink manufacturers don’t have to list the amounts of green tea extract or EGCG on labels, she says. 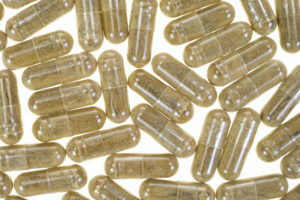 What about green tea extract’s other benefits? Studies of green tea extract’s effect on athletic performance have been inconclusive. 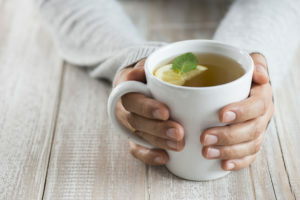 “But enjoying a cup of green tea after a workout is a great way to hydrate, and load your body with antioxidants and nutrients,” adds Dr. Todorov. And research on green tea extract for weight loss has found it has minimal, if any, effect. 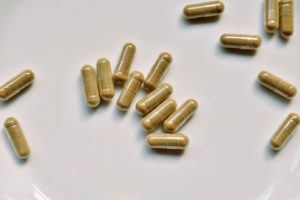 “In my opinion, patients can achieve the same amount of weight loss with lifestyle changes, and avoid the risk of side effects and the cost of supplements,” says Dr. Todorov. However, drinking green tea itself is associated with a lower risk of coronary artery disease. A meta-analysis found that consuming green tea or green tea extract with 150 to 2500 milligrams of catechins daily improved patients’ cholesterol profiles. Dr. Todorov also gives green tea a thumbs up for skin health because of its antioxidant properties. Take a brisk, 15-minute walk. One study found a brisk walk reduced chocolate cravings and the amount of attention focused on snack foods. Relax by sitting mindfully for 10 minutes. Or try taking a power nap. Snack on something nutritious. “Raw nuts, like almonds, walnuts and pecans, are a great choice,” she says. A 2016 meta-analysis linked higher nut consumption with a 19 percent decrease in all-cause mortality and cardiovascular diseases, and an 18 percent decrease in cancer incidence. Avoid simple carbs. Most commonly found in soda, cookies and fast foods, these cause a surge of insulin release, followed by low blood sugar and fatigue. Brew a cup of green tea. Steep 1 tablespoon of loose-leaf or bagged tea three to five minutes to maximize its polyphenols. Enjoy it hot or cold!